I’d been wanting something interesting for a while, and I bided my time over the holidays, scanning Craigslist and Autotrader. 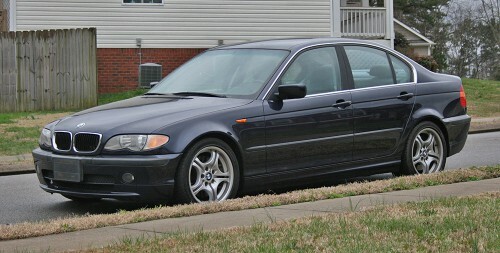 I was looking for something German (BMW or Audi), made from the mid-’90s to the mid-2000s, with a manual transmission. Most of the cars in decent condition that fit that set of criteria were a couple of hours away, and I even roadtripped with my son to go see a B6 Audi A4. It was nice, but had a number of cosmetic defects that would have been expensive to fix, and the seller (a dealer) wanted too much for it already. Then, last Saturday, the car featured in this post popped up not 15 miles down the road. 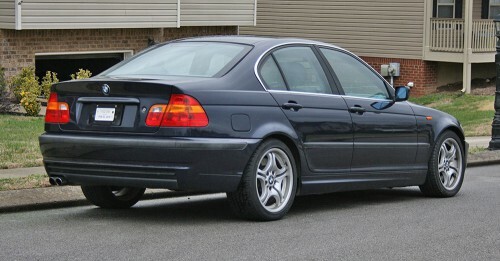 A 2002 BMW 330i, 5-speed, Orient Blue over gray interior, with only 135K on the odometer. I jumped on it. The seller was a local auto mechanic specializing in BMWs and other German cars. He’d just bought it off a trade-in at another dealership and hadn’t even had a chance to drive it yet before he put it up on Craigslist. It drove very well, had good power and was in great shape cosmetically outside a baseball-sized dent in the lower passenger side of the urethane bumper. The windshield was cracked all the way across, and there was a clunk coming from the right front wheel area at low speed. The car pulled slightly under braking and the shifter bushings were completely shot. Furthermore, the interior had that faint whiff of having been a smoker car. Still—none of the issues were terminal, the car’s mileage was low and the price was right. I bought it. A week later, I’m still in love. The car has been debadged (removed the “330i” emblem), the windshield has been replaced and the front control arm bushings are new. The car is tight as a drum and—with the exception of the shifter bushings—drives perfectly. It’s a hair faster than my old 540i 6-speed and feels much more compact and nimble. I installed Koni yellow dampers in the 540i, and while they certainly benefited the larger car’s agility, the ride they provided could only be described as harsh. In contrast, the 330i, on its OEM sport suspension, strikes the perfect note, with a supple ride over the choppy stuff and a good set in the turns. Oddly, it doesn’t feel quite as balanced as my old 525i, but much more controlled and maneuverable. I’m starting to think the 525i’s handling feel was more a case of a big car with a smaller engine up front, with all the weight distribution advantages that offered, but that’s a post for another time. The E46 (1999-2005) 3-series was, at the time, BMW’s most popular model ever, and was offered in myriad different flavors, from convertibles to wagons to sedans to coupes, with a plethora of option packages and a number of styling variations and refreshes. I told my wife that if I could have ordered any non-M BMW new in 2002 and optioned it exactly the way I wanted it, it would have been this car. The air dam and rear apron: Perfect. The Style 68 wheels: Right on. The color combination: Love it. Even details like the sunroof delete (extremely rare for a US-bound E46), the heated seats and the premium Harman/Kardon stereo are precisely what I would have chosen. The original owner, who clearly special-ordered the car, had exquisite taste. I can’t believe I’m fortunate enough to be able to own it, drive it and work on it. I’m notoriously fickle when it comes to my affection for various cars, but if any car was a keeper, this is it. There’s not a thing I would change. I sold the BMW a couple of weeks ago. I’m gutted, to tell you the truth. I’ve had twinges of regret seeing cars drive away, and I don’t know if this was the worst, but it’s up there. The car was my little piece of home when first started the job out here in Tennessee, and took me over the mountains with absolutely no complaints at least 20 times. That and my familiarity with the E34 platform, watching it drive away was almost like watching that body of knowledge disappear, even though it doesn’t, but that’s something of value, you know? 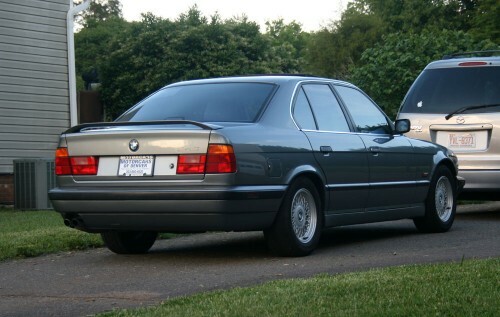 The idea that I would be able to avail myself of my awareness of the ins and outs of the BMW E34 was a primary reason why the transition from my old 1995 525i to my (now sold) 540i was so relatively painless. Despite the much larger engine of the latter, the two cars’ chassis are 95% similar, and the knowledge I had accrued wouldn’t go to waste. If there’s anything that circumscribes the way I see the world, it’s a sense of purpose, and it causes me a certain amount of cognitive dissonance to possess knowledge and yet but unable to use it. Knowledge for its own sake is fine and good to a certain degree, but its inescapable value is what provokes such an acute sense of loss when a car, an activity, an area, a friendship or any number of things is suddenly gone. It could be argued many car enthusiasts feel this way, and linger around message boards long after they’ve sold their pride and joy as a way of “exercising” that knowledge, as it were. I have a feeling I’m not alone. The roads around Chattanooga are terrible. No, they don’t have car-swallowing potholes like the roads in Michigan, but the BMW still took a beating every day on the way to and from work. My commute is 25 minutes of stoplights and stop-and-go traffic. The car hated it, as did I. My old commute was 20 minutes of highway mileage where the car at least had an opportunity to stretch its legs. As it was, it felt like the 540i was suffocating. It was a distraction. My 240Z restoration was languishing and all my thoughts re:car improvements and repairs tended toward the BMW to the exclusion of the Datsun. The truck greatly reduces that temptation. Frankly, I don’t care about it as much. 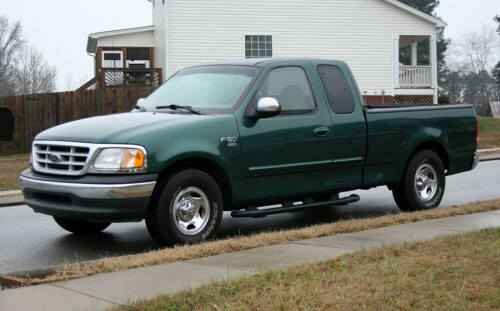 It’s a truck, a workhorse; it’s going to get beat up and I’m fine with that. Done. Next. I needed some way to get the 240Z here from our old house in North Carolina. The F150 provided that way, and allowed me to transport the rest of our items in storage besides. The Z is presently warm and dry in the garage here in Tennessee. I bought the truck for less than I sold the BMW for, and the difference was put to good use around the holidays. The BMW never set my hair on fire. It was an extraordinarily nice car, quick, easy to work and well put-together, but as far as I was concerned it always lacked that special something. It just wasn’t me. If I’m honest, it was a compromise choice at best. I want to lay a foundation for future car endeavors. With the truck in the driveway, not only do I not have to worry about how I would get a prospective long-distance purchase home (drive the truck and tow it), the logistics of a great number of other matters are simplified. And I don’t have to maintain the same kinds of practical criteria when considering future project cars; the sky’s the limit now that we have another vehicle with a back seat, an automatic transmission and the capacity to haul lots of stuff. It’s liberating. Considered in light of the above, buying the truck is quite possibly one of the more rational car purchase I’ve made, and I’ve not made many. It’s in very good shape and drives quite well. I really can’t complain. Yes folks, I have obtained one of the 1,524 6-speed BMW 540i E34s to be imported during the single model year they were available here: 1995. Arctic Gray (Arktisgrau) over Dove leather interior; I love the color combination. 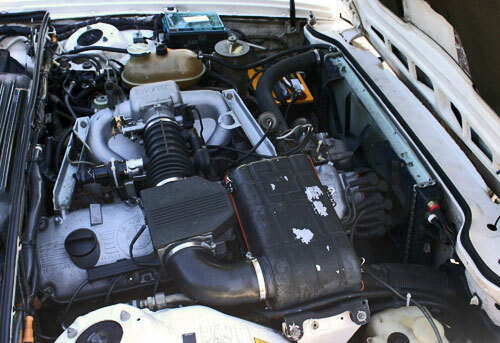 The engine is a 4.0l DOHC V8 with a rated output of 282 hp and 295 ft-lbs of torque. The car weighs just north of 3,500 lbs, which makes for a 0-60 time very close to 6 seconds. 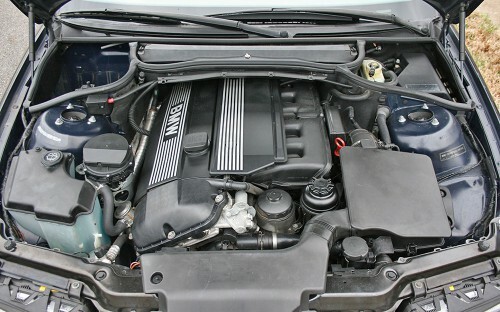 Needless to say, it offers a healthy bump over the 189 hp of my ’95 525i. The added displacement provides a very meaty torque curve as well, which translates to neck-snapping acceleration from most anywhere on the tach, and the DOHC head keeps the engine breathing well and pulling hard right up to its 6500 rpm redline. 2nd and 3rd gear acceleration is relentless, and the engine makes a lovely noise. 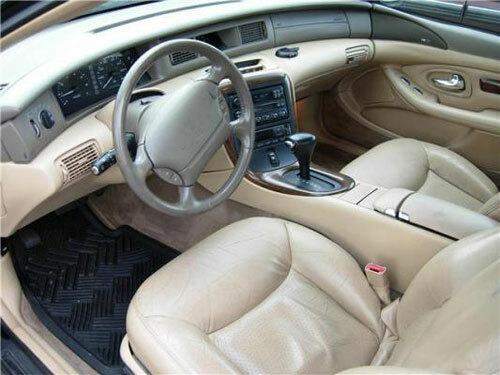 One of the main selling points of the car is displayed above: Its immaculate interior. Aside from some repairable door weatherstripping shrinkage, the interior looks new. 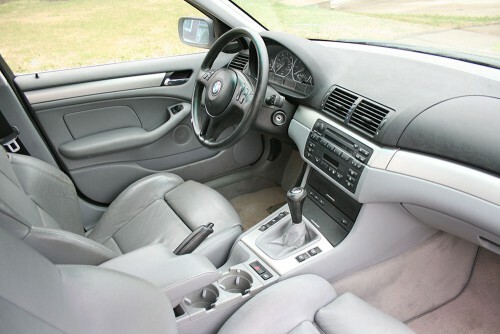 The sport seats are firm but comfortable, the color scheme is very pleasing and it even features the optional 6-disc CD changer my 525 is hard-wired for but didn’t come with. I found the car on Autotrader in Denver a couple of Fridays ago. I messaged a BMW forum member in the area asking if he’d be willing to check it out for me. Not only did he graciously agree to do so, he actually offered to deliver the car to me the following week if I would pay his expenses and the flight home. How could I refuse? After leaving the dealership Wednesday afternoon, he rolled into central NC last Friday morning and met me at my office. He hung out for the morning and I drove him to the airport over lunch, after reimbursing him for gas and his expenses, which turned out to be amazingly inexpensive. Needless to say, I’m incredibly grateful, and the forum member has earned himself a gold star from me now and forever. It does have a few issues, including dampers in need of replacement, cracked/missing foglights and a touch of rust along the bottoms of the doors (most frequent E34 rust area). New dampers are on order, I’m in negotiations with BMW friends over foglights from parts cars, and taking care of the rust for good is simply a matter of locating replacement doors and swapping everything over. It’s easier than it sounds. Alright, driving impressions compared to my 525. Overall, very similar. The 540 definitely feels more hunkered-down. Where the 525 would dance through the corners the 540 seems to take a set and bite down. If the 525 is a ballet dancer, the 540 is more of a Barry Sanders-type running back. I’ll have to post another review once I get the new dampers installed because I’m sure that’s coloring my impression of the 540. The new car does feel a bit heavier in the nose, but the car still feels like it pivots around the driver’s seat bottom—my all-time favorite quality of the E34. Overall the 540 doesn’t feel quite as “flickable” as the 525, but it’s not as floaty either, if that makes sense. Again, I’m sure new dampers will make a huge difference. The 6-speed has taken some getting used to. 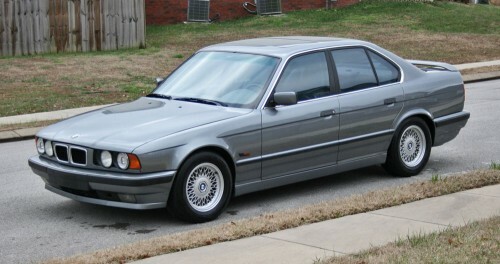 I know the 5-speed in the 525 so well, the ratios and gearchanges are completely second-nature. Now I’m wondering if I’m on the highway, loping along in 6th and need to gun it to pass, do I drop 1 gear? 2 gears? Gotta get used that, and the stiff throttle cable isn’t helping with learning the car’s rev-matching/heel-and-toeing behavior. And the power…oh the power. I’ll just come out and say it (some of you will laugh): This is the fastest car I’ve ever owned. The surge in 2nd and especially 3rd reminds me of my old 1JZ-swapped Supra for the 24 hours or so it was running correctly (long story), and that makes sense: Similar power (282 for the E34 vs. 280 for the Supra) and weight (3500 for the E34 vs. 3450 for the Supra). I remember distinctly pulling onto a country road in the Supra, opening it up and muttering “Holy crap” at the wave of power; I had exactly the same reaction in the 540 not 20 minutes ago when I laid 20 feet of rubber at the 1-2 upshift and kept it buried… It is addictive like nothing else. 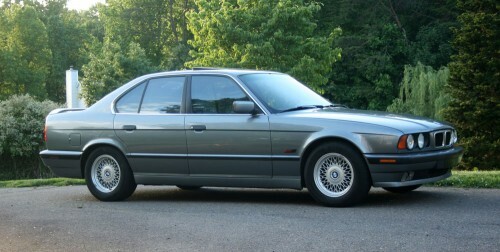 A couple of New Years ago, I drove the kids in my 1995 BMW 525i back to my parents’ house for our annual holiday visit. My car’s original owner is a lady who lives on their cul-de-sac. She replaced the E34 with a new-ish E90 325i, but still misses her old car quite a bit. I parked by the curb on a Friday afternoon, and she saw her old car for the first time since selling it to me that past spring. She had to run to an appointment, but the incident reminded me to ask her something I’d been wondering about for a while. So I sent her an e-mail later that weekend asking for her story of the car’s purchase. In about 1994 or sometime around there, I was in Germany on business and rented a car for business purposes, as I was traveling to another city for a second meeting. 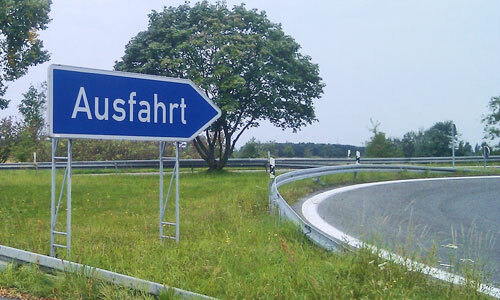 The car they offered me was a BMW 328i, and I drove it from Frankfurt far into the countryside (I can’t remember the town), on the Autobahn. OMG, that just took me right out re: BMW’s. It was a manual shift. 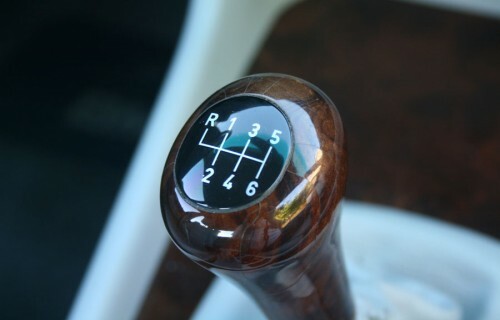 I had driven a manual shift earlier in my life (school bus in high school, old Volkswagens, Mazda 626, which I had at the time), so a manual shift was very much at home to me, and frankly, what I consider…shall we say…driving. Back in the US, I started thinking about how nice it would be to have a BMW, but what a dream that would be. I went to the first dealership, and thought they were snotty and arrogant, but I did connect with a sales person there who took me for a test drive in a white 525 with black interior. It was pouring rain and we’d stopped on a dime in the rain on a back road, so that was impressive to me. But black interior? High price? Arrogant dealership? Automatic? That was 4 votes for NO. Sometime later I was having dinner with my then insurance agent, Peggy, and her husband Ed. Over the course of dinner I learned that Ed loves BMWs and is always on the lookout for good deals. In fact, Ed loved hanging out at a second dealership in Raleigh and knew the guys there. He’d be on the lookout, but you know how people say those things, so I didn’t think much of it. And then, about 4 or 5 months later, out of the blue, it was December, and Ed called and said that the second dealership had a 525i with manual shift in house, at the price of $34,000. 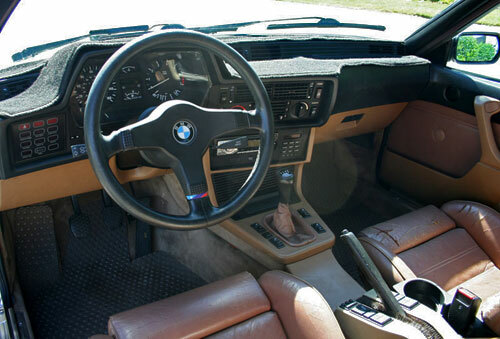 It had 4,000 miles on it because it had been driven by an Executive at the recently opened BMW plant in South Carolina, so it had been really packaged nicely for the Executive (hence the burl dash, which was new at the time). He talked to the sales person and they would hold it for me if I was interested. I went to the dealership, drove the car, and (remember this was December, 1995, and car salesmen were not as egalitarian or enlightened in the awareness of Women as Legitimate Customers). The sales men (I emphasize the men word here) were commenting with some shock that I could drive a manual shift. (Huh?) They couldn’t imagine that I would want a manual shift. He sputtered and said something about little ladies today, blah blah blah, and we proceeded with the transaction. I only mention that as laughter as to how times have changed. I noticed that salesman was not there very long afterwards. For the entire time I owned that car, I had all service done at the dealership, as you can see from the records. I never had one lick of trouble with it (except for a water pump that went out 3 years ago in 100 degree heat, and a local tire shop replaced that in an emergency). All service was performed by the same mechanic, Conrad, their top mechanic, until he moved to Virginia. Then I interviewed Conrad’s recommended replacement, who I think was William. The service manager at the dealership in Raleigh, Kelly, knows me and this car like his own child. They were always good to me. I had grown up in a large family where we were always limping along with second hand cars and Dad doing the repair, and we crossed our fingers on big trips, so it was important to me to be religious about preventative maintenance. Mostly that car represented to me Dreams Realized, and I’m not just talking owning a BMW (I was always a little embarrassed about that, I don’t like the Ego stories that people make up. It was always less to me about having a BMW as having a nice car that I had didn’t have to worry about, that I could be proud to drive up in, that I paid for from my business and that I loved loved loved to drive…It was so much about the way that car drives). Thank you for taking such good care of this car, and for understanding that sometimes a car is more than a car. Selling this one was the right thing to do. At least that’s what I tell myself. 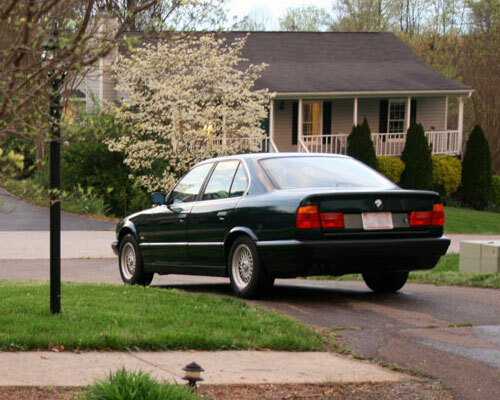 Ending a self-imposed 3-year “exile” from interesting cars, during which time I commuted to work in a beat-up late-’90s Saturn wagon (which served me admirably, I should add), the acquisition of my 1986 BMW 635CSi was at the same time a very deliberate purchase and an impulse buy. I’ve always had an affinity for big GTs. I had just sold our (very faithful) 1993 Volvo 940 Turbo, and was still somewhat involved with the Volvo Brick community. But I also wanted something more engaging to drive, and I’d never owned a BMW before. Taking all that into consideration, I gravitated toward either a Volvo 780 Bertone—Volvo’s quirky, academic coupe of the late ’80s—or the E30-generation BMW 3-series. 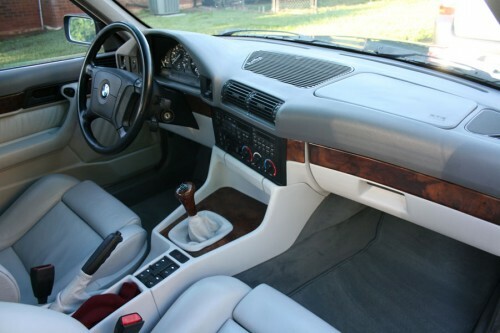 I knew an E30 would surely satisfy me from a driver’s standpoint, but there was (and is) something about the Volvo 780’s uniqueness—not to mention the familiarity of its platform—that I found very appealing. So combine some of the driver’s car qualities of the E30 with the big, unique GT angle of the 780, and during the course of my deliberations, I arrived at the BMW E24 6-series. 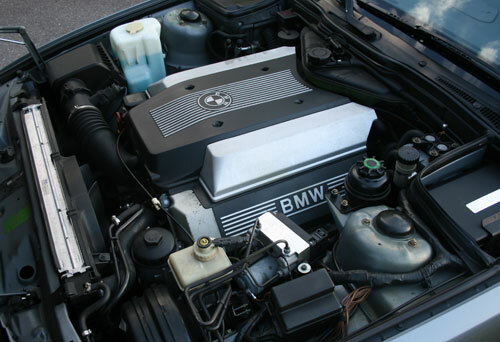 The E24 had presence, adequate pace, perfect proportions and was available with a 5-speed. I found the example shown here on Craigslist. I e-mailed the seller; he was the third owner and lived just down the road. I arranged to meet him one late summer evening in local grocery store parking lot; with my first in-the-flesh glimpse of the car, I knew it was something special. It had 253K on the odometer, an amazingly stiff clutch pedal and the dash was cracked in multiple places (typical E24 interior problem), but the paint was in fantastic shape, it ran perfectly and most importantly, there wasn’t a hint of rust on the car, being as it was of west-coast origin. The big M30 straight six made a lovely sound as it hustled its way up to redline and the engine’s midrange punch was very impressive. So with little research, only a day or two after the very idea of acquiring an E24 had popped into my head, I bought one. I owned the 635 for 9 months, from late August through the following April. It never let me down; never missed a beat, even with as many miles as it had. Autumn cruises through the piedmont with the windows rolled down were heaven. I got admiring glances from folks at gas stations and thumbs up from other BMW drivers. I was introduced to the wonderful E24 community, chock-full of helpful, unpretentious owners with encyclopedic reservoirs of knowledge about the car. With all that, though, I still began to be, if not exactly eager to sell, at least resigned to the fact that I had to get something else, for a number of reasons. The first problem is illustrated above: The E24 was my daily driver all throughout a particularly snowy winter. The car was rust free, and ’80s BMWs not exactly being known for their comprehensive and durable rustproofing, I was on pins and needles every time I drove it through the slush, or even in the rain. I took it to the coin-op car wash at least twice a week during that period, but that didn’t assuage the feeling that I was accelerating whatever seeds of deterioration were planted in the fenderwells and rocker panels. It was awful owning such a classic and knowing I had to drive it in those conditions. Next, the car didn’t fit our family’s car project paradigm. My 240Z project had yet to commence, but I knew it would, and if I’d kept the E24, my car affections would have been split between it and the Z. In the end, our family budget wouldn’t support more than the Family Hauler + Daily Driver + Project Car equation, and the 635 ventured too far into the Project Car category. And finally, I simply hadn’t done enough research before buying the car. If I had waited a week or two and gathered additional information, I might have learned that a gray-market Euro import E24 can be had in similar condition to the one I bought for a very small premium over the price I paid—if not the same price. Euro E24s are blessed with a higher-compression engine, oftentimes can be had with a close-ratio dogleg gearbox and most importantly, sport the lovely thin-profile Euro bumpers that absolutely make the lines of the car. I liked my 635 very much, but I never got over the hideous US-spec “diving board” bumpers and the way they contrasted with the beautiful Alpine White paint. I was sad to see it drive away. Its present owner lives in the sunny, snow-free Florida panhandle and is an ’80s BMW enthusiast, hopefully putting many happy miles on the car. I miss my previous cars. I think about them often, reminiscing about overall qualities and specific situations, snapshots from my experiences with the RX-7s, the Supra and the Audi 4000, among others. From time to time, though, my nostalgia for a particular car seems to spike, and I think I’ve identified at least one possible culprit: The feeling of an unfinished project. No, not open-ended projects currently in progress—outright failures. The images at the top of this post represent arguably my biggest failure when it comes to automotive projects. They’re a before-and-after of the wiring harness of my 1988 Toyota Supra Turbo, whose engine, during the fall, winter and spring of 2003-2004, I decided to replace with a Japan-only, half-as-powerful-again 1JZ-GTE unit. The physical swap itself went perfectly smoothly and was complete within a couple of weeks, but the necessary wiring harness lengthening operation wasn’t. The harness I acquired had already been hacked by a previous tuner, and in the process he had made a complete hash of it, to the point where, with everything connected, the car would barely start and stay running for a couple of seconds. After a few experiments and rabbit trails, I eventually decided to completely pull the harness and clean up the wiring, the result shown at right. To my great dismay, although the overhauled harness improved the situation to the point where the car was (barely) drivable, it didn’t solve the car’s fundamental running problems, and after struggling with it for several more months and losing motivation (and running out of money, natch), I decided to unload the whole project. The right decision it may have been at the time (I was in the midst of some pretty major life changes during that period as well), but in retrospect I desperately wish I had at least had the persistence to overcome the car’s problems and sell it as a fully-functional driver. The new owner, a Toyota tech from Charlotte, camped out in my apartment complex garage for an evening or two, sorting everything out, and drove the Supra home, fueling the immediate feeling of regret by demonstrating how close I had been to a solution. Even now, it just bothers me that there was a car project I didn’t finish. The car was not complete. I didn’t have a chance to experience it at 100%, to assess it on its merits after having been swapped and make an decision about whether to sell then. Yes, I probably would have kept it, at least for longer than I did, but there wouldn’t be any loose ends dangling in my personal car history. What about you? Do you have any unfinished projects or unsolved problems lurking in your automotive past? If so, does it bother you? While I have a broad “base” of interest in cars in general, the spotlight of my attention is usually only focused on one car at a time—a focus that frequently wanders. During the years when my automotive taste was more malleable than at present, there were many cars I was into for a short period of time, which interest I look back on, now that I know better, with a degree of regret. 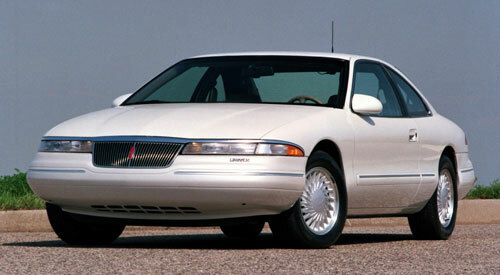 One of those is the car featured in this post, the 1993-1998 Lincoln Mark VIII. A large “personal coupe” intended to compete with the likes of the Cadillac Eldorado and Lexus SC400, it featured swoopy, futuristic styling draped over a RWD chassis powered by a 280 hp, 4.6l V8. My interest in the Mark VIII was piqued by one thumbnail-sized photograph in one of my grandmother’s Consumer Reports annual “Car Reviews” issues. The slight blurriness and angle of the picture combined to distort the Lincoln’s proportions just enough that it appeared to have a sportier long-nose/short-deck visual layout. To me, at the time, in that image, it looked purposeful, powerful, desirable… And given the fact that it was new and rather expensive, I never really saw enough of them on the road to right the ship, as it were, and convince me that maybe the photo my fascination was based on hadn’t been the most accurately descriptive of the car’s looks. 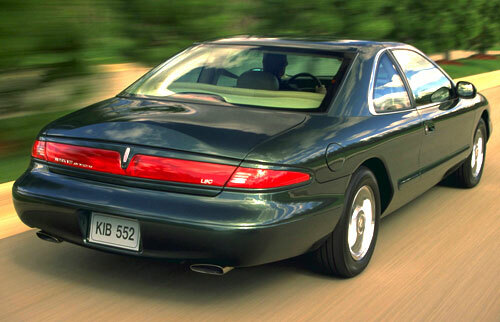 In reality, the Mark VIII really wasn’t such a bad car, but it was the last of a dying breed, an obsolescent, overstyled dinosaur and a example of how American luxury automakers in general were (and to a degree, still are) flailing about in the marketplace, trying to sell a distinctively American approach to a buying public rapidly becoming disenchanted with the traditional luxury car = land yacht equation. Its modern engine notwithstanding, the Mark VIII’s blobby design and overwrought interior were signs that Lincoln didn’t “get it,” and it disappeared from the automaker’s lineup within 5 years, to date the last of their personal coupes. During the period of contact between my car interest and the Mark VIII, in my mid-teens, I probably knew better, but as mentioned, that one photograph, combined with my enthusiasm for GTs and big coupes in general, provided the tinder for a brief spark of desire. Quick note on driving: They know how to here! It’s so wonderful. Highways are either two or three lanes; trucks stay mostly in the right lane, only venturing into the middle lane to pass, and cars occupy the left two. People pass only on the left, use their signals and get out of your way quickly if you’re coming up behind them. And on average, drive around 90-110 mph. Drivers stick to the speed limit when there actually is one (around construction and in hilly country) and aren’t boneheaded like most American drivers. I love it—except, of course, for the fact that our little rental Opel is hardly Autobahn-worthy (at least in my mind). Ah well. When I have my [BMW] 850CSi I’ll come back and have some fun. Every time I’m caught in a back-up caused by an American driver’s failure to merge properly, or stuck behind some secretary trundling along obliviously in the left lane, I feel a pang of longing for my glimpse of that remarkably disciplined driving environment. Of course, such a system comes at a price. 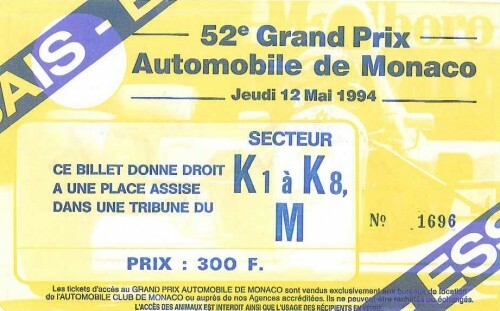 Driver education is far more involving, strenuous and expensive in Europe than it is here, and more rigorous annual inspections mean the cars must be maintained to a higher standard in order to pass muster (and endure the stress of more demanding driving). 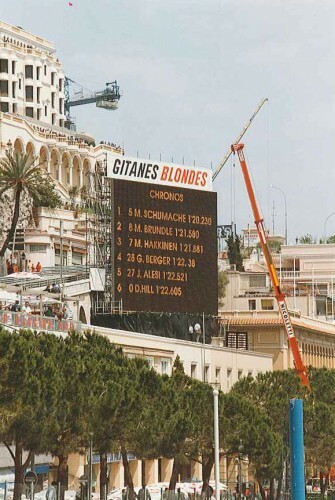 Furthermore, the experience of being behind the wheel requires more focus than it does on this side of the pond; I remember asking my dad whether he enjoyed driving in France, and he replied that he didn’t. He later clarified that it was stressful for him in the sense that it required all of his attention; he didn’t feel free to just relax and make conversation with his passengers the way he did in the US. That said, I can attest personally that for fully-engaged drivers, the European system works, and can actually be less stressful and more satisfying in the sense that if you understand and obey the rules along with everyone else, traffic moves quite swiftly and smoothly. Do you think some form or portion of the European system of traffic laws and driver education could work here in the States? I don’t know anyone who would seriously argue for fewer rules; driver’s ed and traffic laws are pretty lax, relatively speaking, but what about simple measures like forbidding passing on the right above 35 mph? 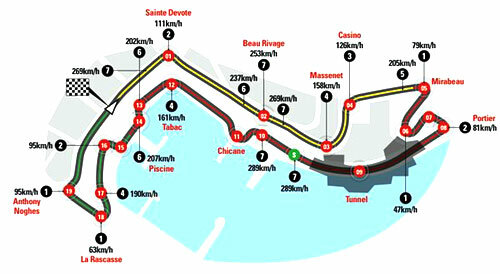 Would drivers take to it? Would it work with the current highway code or would interchanges have to be redesigned? What about on a state-by-state basis? Or does Europe’s tighter geographic integration makes it better suited to more strenuous road rules than America’s more sprawling landscape? 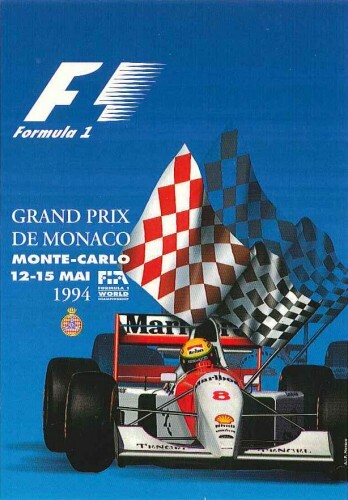 1994 Monaco F1 Grand Prix commemorative postcard. 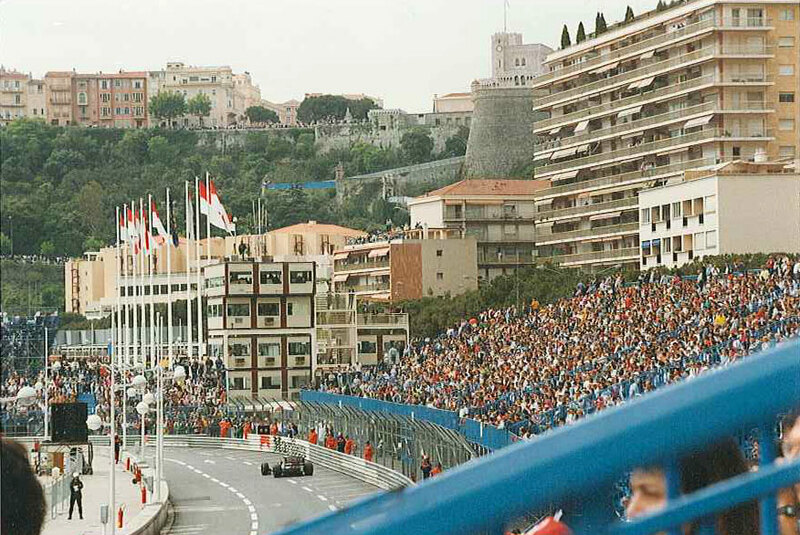 Perched in the grandstands overlooking Tabac and Louis Chiron corners, here are selected photos from our second trip to a Monaco Grand Prix qualifying session, this time in 1994. 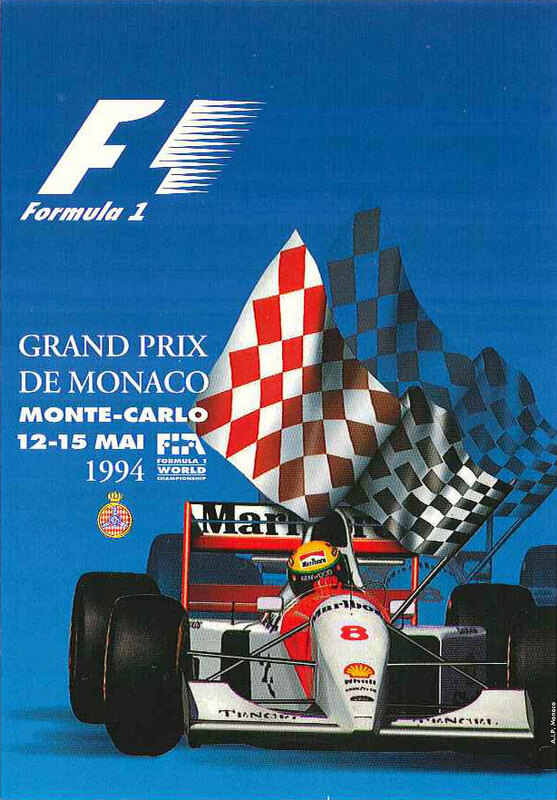 In contrast to the usual fanfare that attends an F1 race, this was a somewhat somber event, being as it was the first race after the death of three-time world champion Ayrton Senna. 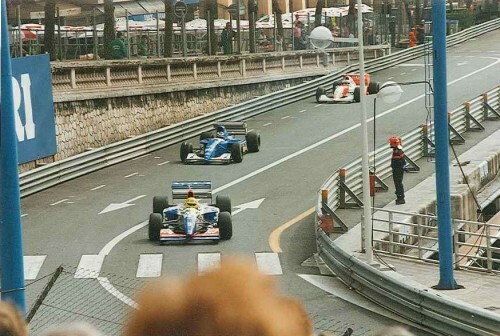 Senna’s Williams teammate Damon Hill raced alone that weekend, and the first two grid positions were left empty in tribute to the fallen Brazilian champion and Roland Ratzenberger, a Simtek driver who experienced a fatal crash during qualifying at Imola. 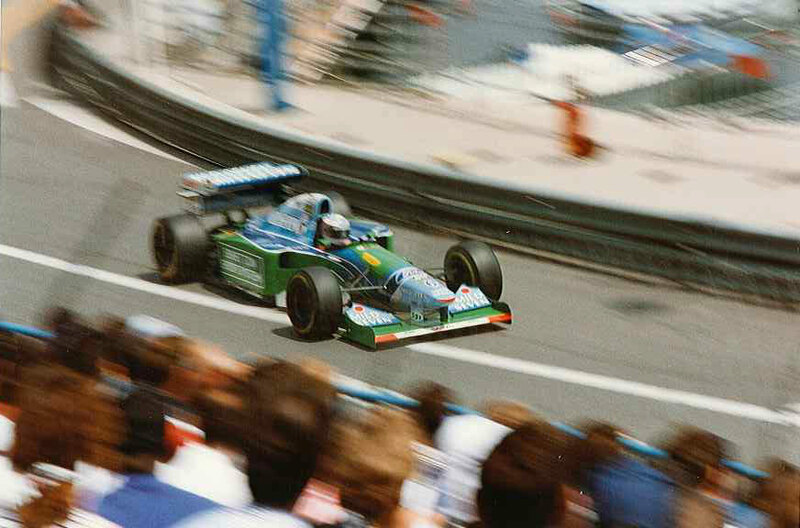 German Michael Schumacher in his Benetton-Ford, having a penchant for the tight, twisty circuit, was widely expected to win the race, especially given his dominance of the early part of the 1994 season. As for my experience, it was much as you’d expect: The smell of race fuel, the clear blue of the Mediterranean just a few hundred feet away and the wails of exotic V8s, V10s and V12s reverberating off the high-rises all around… Heaven. Enjoy the photos! Race ticket. Click the image to enlarge. 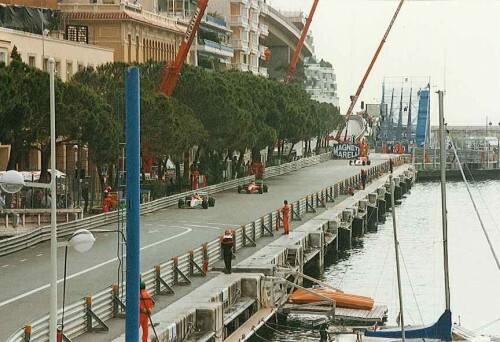 Coming down the post-chicane straight toward Tabac corner. 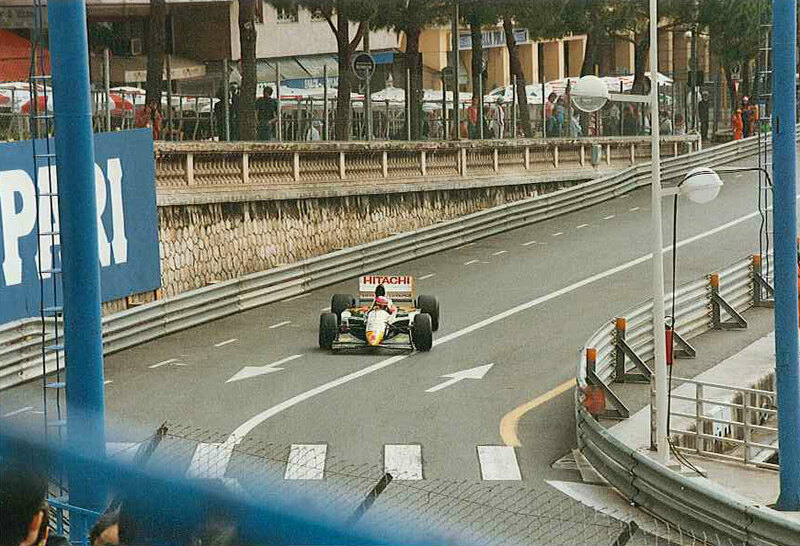 Blasting away from Tabac toward Louis Chiron. Click the image to enlarge. Qualifying leaderboard. It was early in the session. 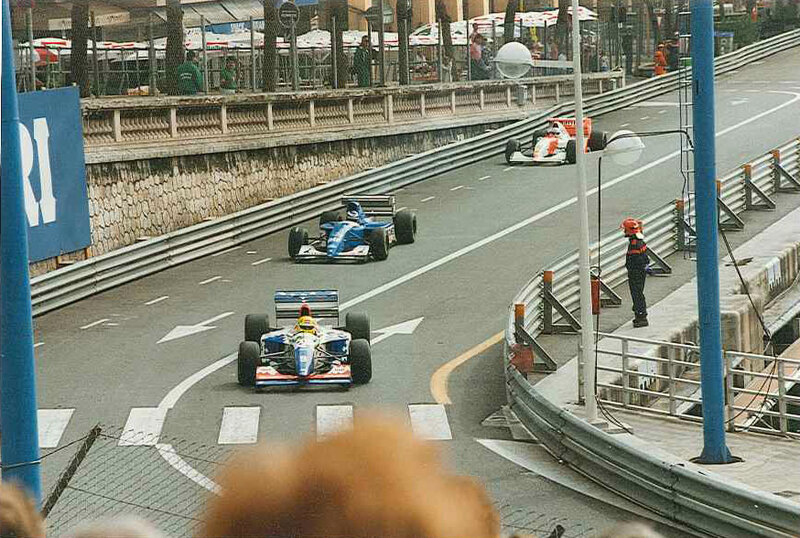 A Footwork leading a Ligier and a McLaren through Tabac. Click the image to enlarge. 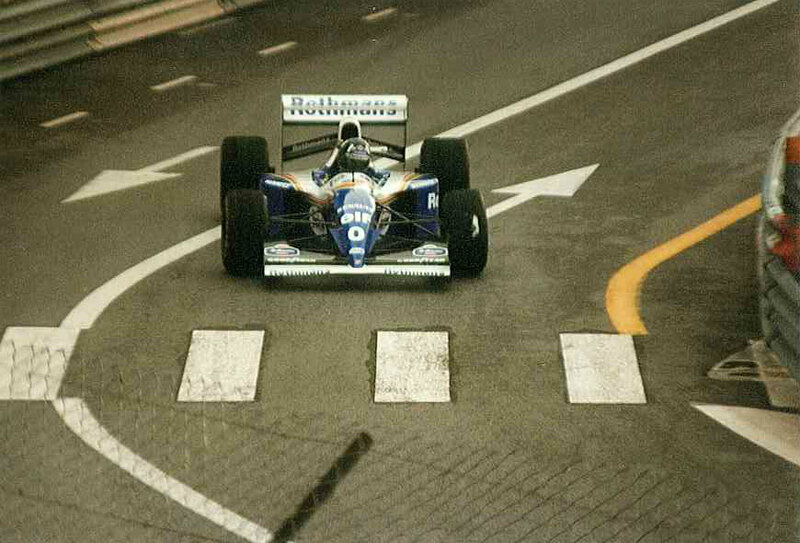 Future first-time world champion Michael Schumacher rounding Tabac in his Benetton. Click the image to enlarge. The bitter end: One of Team Lotus’ last races. Click the image to enlarge. to race at Monaco that year. Click the image to enlarge. 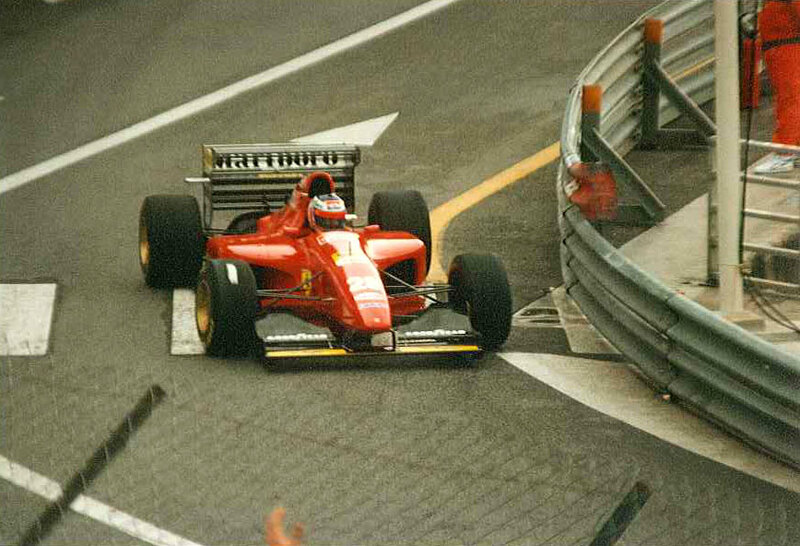 My driver: Gerhard Berger in the incomparably beautiful Ferrari 412T1. Want more? 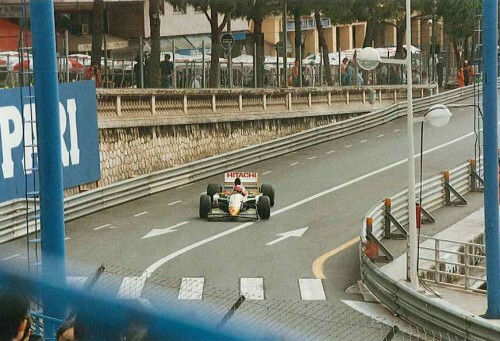 Here are some pictures from our earlier trip to the Monaco GP in 1987.